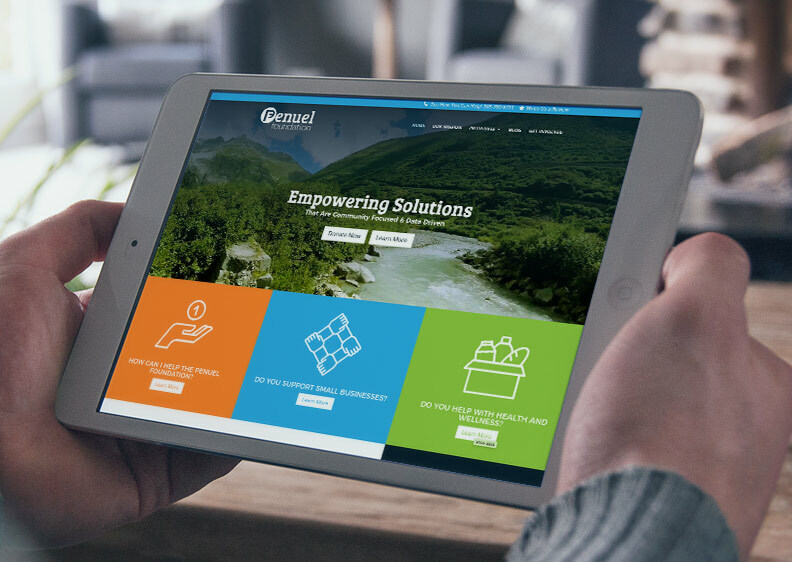 Gliding gently along a river with the video header of the Penuel Foundation, you find yourself drawn in and curious about their empowering solutions to community issues. The graphics and joyful colors, coupled with inspirational quotes and concise content deliver the foundation’s distinctive message. Visit the Penuel Foundation to see the impact a new website can make!